“Never thought I’d ever meet the devil. Never thought I’d meet him face to face. Carter Foxwell waited patiently in a dirty booth for the arrival of the contact. Swallowing the remainder of a surprisingly good coffee, he relished the lingering bitterness of the unsweetened drink before placing a tightly rolled cigarette between his lips and lit it with the practiced flick of a vintage Zippo. Foxwell was a lean but solid man whose appearance defied his years, and anyone meeting him for the first time could easily be forgiven for believing he was still in his mid twenties. In reality, he was almost double that. This physicality was the result of both the rigorous training routines that the UEE expected its employees to adhere to and the wonders of modern medicine. As he returned the lighter to an inside pocket, his hand brushed briefly against the reassuring cold steel of the Klaus & Werner safely holstered against his chest – a contingency plan in case things went pear-shaped when the contact arrived – and he exhaled a long stream of satisfyingly smooth smoke that at once reminded him of his recent decision to quit the habit. Despite his apparent fitness, he wasn’t getting any younger, and the onset of a nagging and persistent cough suggested it was time to finally give up one of the last genuine pleasures in life. And he would. Just not today. The establishment – if it could even be called that – was a drinking den known as Cafe Musáin; a complete dive of a bar that had been carved from the very rock inside the warren of underground tunnels that formed the now disused mining facility of Levski. Levski was a relatively large installation situated on the surface of an immense asteroid near the outer edge of the Nyx system and though it was once seen as a potential jewel of industry by the United Empire of Earth under first Imperator Ivan Messer, it was soon abandoned after the high costs of moving larger ships in and out of the extremely dense asteroid field made it an unanticipated logistical nightmare. Deserted for many years, Levski slowly but surely became a haven for members of the so called People’s Alliance who saw the uninhabited installation as an ideal place to set up a base of operations. 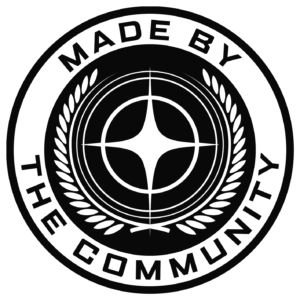 Keen to escape the totalitarian regime of the UEE, the People’s Alliance were a band of misfits primarily made up of freethinkers, rebels and pacifists bent on creating their own community and pseudo-socialist government. Foxwell, like many other citizens, considered them a lazy bunch of hippies, drug addicts and political dissidents. Copyright © 2018 furieux.uk. Please note that this is a work of fan fiction.  All other characters, places, events, ships, and ship designs, and other content originating from Star Citizen, Squadron 42, or other content produced or created by its publishers or developers, are the property of Cloud Imperium Rights LLC and Cloud Imperium Rights Limited..